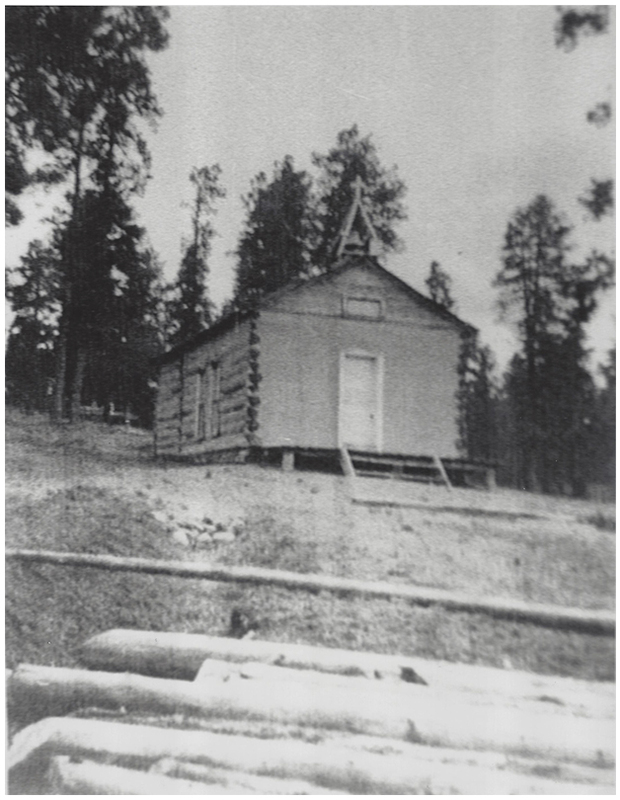 Small Log Chapel – Bond Family Ranch. Frank Bond acquired Baca Location #1, 1926. Photo courtesy of Robert Borden.